LANKY BEAT – A LANKYPEDIA OF BANDS FROM YESTERDAY – TODAY.. Putting the English County of Lancashire on the world’s rock ‘n roll map.. The ancient County Palatine of Lancashire or Lankyland is located between two of the most famous landmark rock ‘n roll musical cities in the UK.. Liverpool and Manchester. 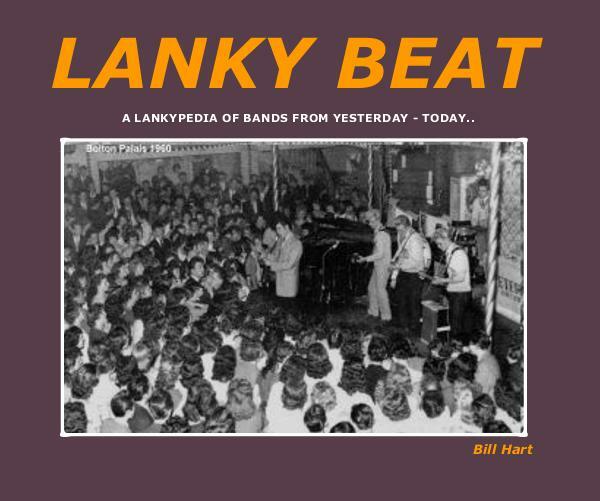 A small geographical area in the UK where a major and most vitally important role was played by hundreds of rock ‘n roll bands in the most iconic and glorious popular musical era of all time: The late 1950′s, the early 1960′s.. and well beyond…..
Lanky Beat Archived for Posterity. This book is a lasting dedication to all the many contributors and supporters of Lanky Beat website www.lankybeat.com and the Lankykats rock’n rollers who made it all happen. Lankykats have a brand new CD featuring 23 tracks from bands and performers who regularly appear at the two Thursday meetings each month in Standish in the heart of Lancashire.